1715, Kirkharle, Northumberland, England. Christened Lancelot. The nickname “Capability” comes from his habit of telling all his clients that “This place has a lot of capabilities”. Brown was the son of William Browne from Yeoman stock. Began work as a gardener’s boy in Northumberland. 1720: Death of his father. 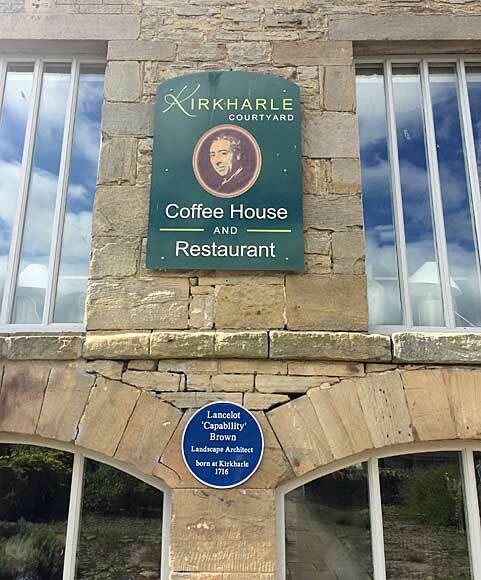 1732: Apprenticed to Sir William Lorraine at Kirkharle Hall. 1739: Leaves the Family home. 1740: Lancelot Brown begins working for Lord Cobham at Stowe. 1742: He obtained a post at Stowe, one of the most influential gardens of the day. He was responsible for showing wealthy visitors around the garden and got to know many of the nobility. He worked under William Kent and then set up his own business after Kent’s death. 1749: Death of Lord Cobham. 1751: Sets up his first private gardening business. 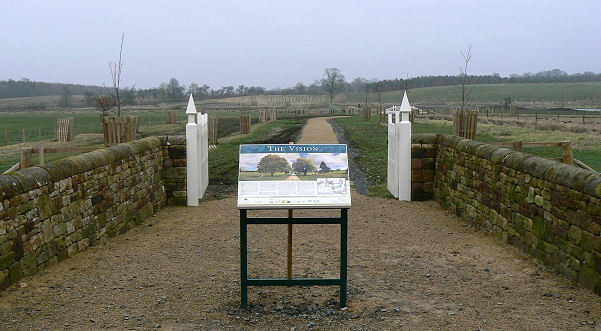 Begins work at Croome Park, Worcestershire. By 1753: Brown was known as the leading improver of grounds in England. He received his nickname due to his often-used phrase when looking at a garden. “This place has a lot of capabilities”. 1755: Works at Burghley Park. 1751- 57: Worked on designs for Petworth House, West Sussex. Bought the Lordship of the Manor of Fenstanton and Hilton in Cambridgeshire. 1760: Lancelot “Capability” Brown created a lake at Wakefield Lodge for the Duke of Grafton. Begins work at Blenheim Palace home of the Duke of Marlborough. 1764: Becomes Surveyor to His Majesty’s Gardens and Waters at Hampton Court. 1770: Appointed as the High Sherrif of Huntingdon. 1773: Works at Kew Gardens. 1777: Lancelot “Capability” Brown works at Cardiff Castle. To Bridget Wayet on 22nd November 1744, at St. Mary’s Church, Hove, Sussex. 6th February 1783, London, England. Buried next to his wife in the parish churchyard at Fenstanton, Cambridgeshire. There is also a memorial to him on the wall of the chancel inside the church. 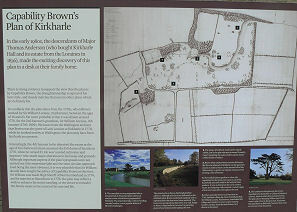 Kirkharle Hall Gardens and Craft Centre, Kirkharle Hall.